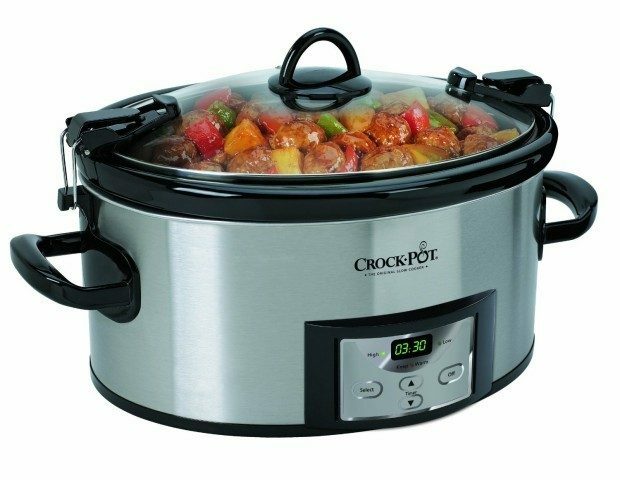 Crock-Pot Programmable Cook and Carry Oval Slow Cooker Just $40.79! You are here: Home / Great Deals / Amazon Deals / Crock-Pot Programmable Cook and Carry Oval Slow Cooker Just $40.79! If you don’t have a slow cooker, this winter should convince you to get one! Here’s a great one! Countdown programmable technology and easy-to-use locking lid. Right now, you can get the Crock-Pot SCCPVL610-S Programmable Cook and Carry Oval Slow Cooker for just $40.79 from Amazon!